In addition to an email fishing report we also do an email newsletter. We don’t call it a monthly newsletters because during some portions of the year we’ll email more than monthly. We also send out various blurbs on our trips, classes, products, special events, and more. If are not currently receiving our newsletter and would like to please let us know. Also, you can visit our Newsletter Archive here . You can view our most recent newsletter here .Thanks very much! 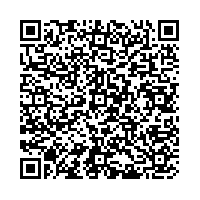 You can sign up for our Email Newsletter and Fishing Report by using the link below, scanning the QR Code below, or Texting JWFLYFISHING to 22828 (this will lead you easily through the process). Subscribe to the NEW Virginia Dept of Game and Inland Fisheries Outdoor Report. Available exclusively through a free email subcription, the Outdoor Report will be delivered to you by email every two weeks. In each issue: News Features, Regulations, Fishing News, Outdoor Safety Tips, Upcoming Events, Outdoor Skills Educations, and More… To subscribe visit the VA DGIF Website here . Click on the Outdoor Report Link and simply fill in the required information.